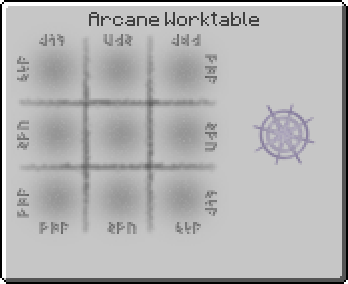 Coalescence Core is an item added by the Thaumic Energistics mod. It is a crafting component for various items. "Having discovered how to distill essentia, it occurs to you that you may be able store it digitally. Examining the Formation Core and Annihilation Core you realize that with some minor modifications they could serve as a means to convert essentia to and from a digital format. However, due to the corrosive nature of certain types of essentia, a layer of quicksilver around the circuitry is required to prevent decay. The relatively high volatility and immense energy in distilled essentia requires that it first be diffused then digitized. A buffer chamber of some kind will likely be required to hold the diffused essentia. Compresses and binds re-materialized essentia diffusion back into its raw form. A buffer chamber will also likely be needed."